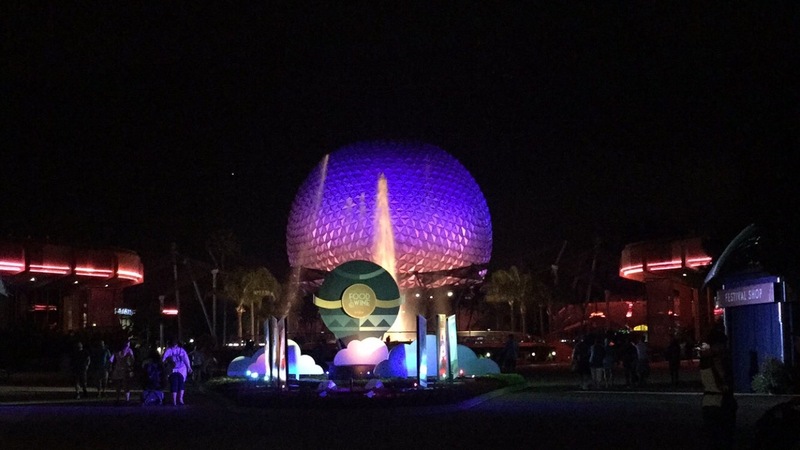 Epcot – Biscotti and a Ph.D. 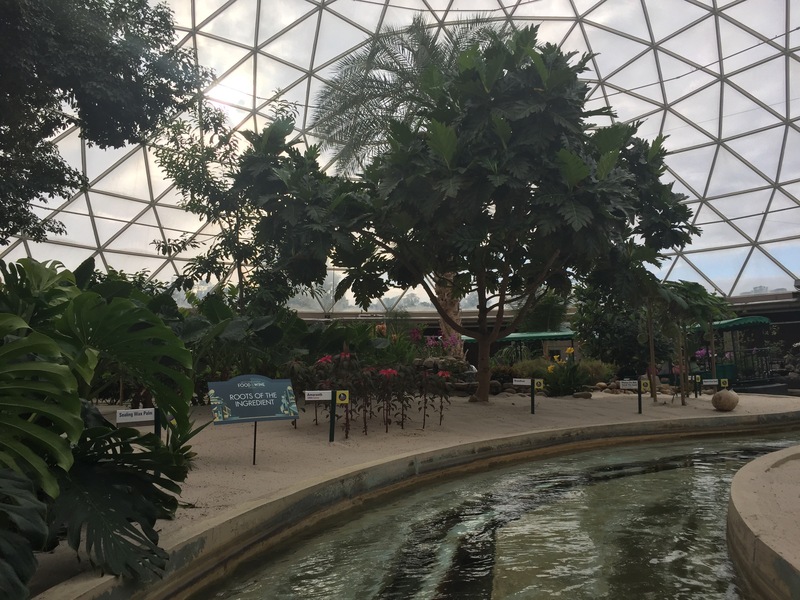 If you’re anything like us and planning an Epcot trip centered on eating and drinking (and without children), todays post is an overview of some great holiday drinks and snacks that we tried! One of my main goals whenever I travel is to get up early so no time is wasted. Disney parks frequently open their gates before the official opening time (Epcot opened about 15 minutes early), so if you’re there as soon as they open you can race to one of the rides that gets busy before the line gets out of control. 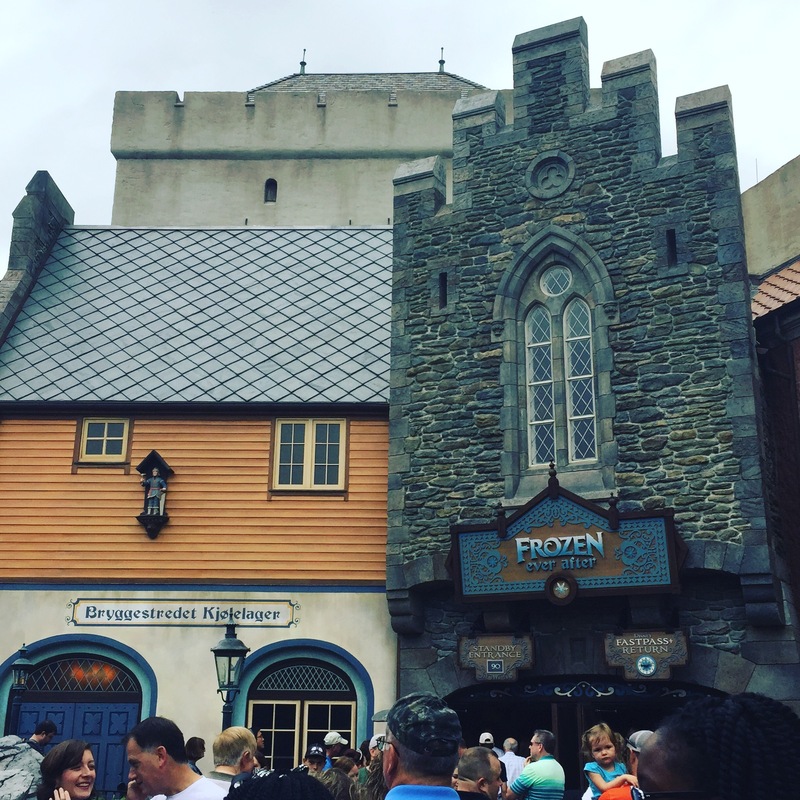 I wasn’t able to get a Fastpass for the new Frozen ride, and the lines are often crazy long for it (when it opened in the summer I saw on the Disney app up to a four hour wait time…no thank you). However, I can speedwalk like nobody’s business, and I had no shame in racing tiny children to the line. We got there in time for a 30 minute wait, which wasn’t bad, and the line wrapped around several buildings not long after we got there. Once you get inside the waiting isn’t too horrible because it’s decorated like Arandelle, so it’s fun to look around. The ride is also cute and enjoyable. The animatronics are extremely impressive, there’s a surprise backward surge, and be prepared to get a little wet at the bottom of the drop! Boyfriend hadn’t seen the movie, but he wanted to ride it again later that night. Since we were staying at a Disney resort (Port Orleans – Riverside), we got to enjoy extra magic hours that night and found an even shorter line for a second trip through Frozen! In between the food and wine sampling (see previous post for details on that) we managed to get on every ride. I was excited to introduce boyfriend to several rides he’d never been on such as Living with the Land, Journey into Imagination with Figment (how do you miss out on Figment?! ), and the Gran Fiesta boat ride in Mexico. And don’t forget the fireworks show, Illuminations!